On Friday, March 11 2011, a magnitude 9.1 undersea megathrust earthquake struck off the Pacific coast of Tōhoku, Japan. The massive quake triggered 133-foot-tall tsunami waves that wreaked havoc in the cities of Miyako and Sendai, claiming the lives of nearly 16,000 people and injuring more than 6,000 others; over 2,500 are still unaccounted for and labeled as missing. Is Fukushima the worst nuclear disaster in history? Following the event, TEPCO (Tokyo Electric Power Company Holdings) was accused of disseminating false and/or even misleading information about their ability to control the impact Fukushima’s nuclear meltdown had on the environment. Due to a number of man-made blunders and outright incompetence, the nearby Kuroshio Current, which is one of the world’s strongest ocean currents, has been regularly spreading uncontained radioactive particles throughout the Pacific Ocean; these deadly molecules happen to drastically affect all living organisms they touch. Additionally, powerful naturally occurring atmospheric trade winds that travel from Japan to the West Coast of the United States have been carrying large amounts of contaminated air and debris which eventually make their way to land and even drinking water supplies. For reference, toxic substances such as plutonium-239 and strontium-90 (both of which were used in Fukushima) are reported to have a half-life of 24,100 years, so they are incredibly difficult, if not impossible, to clean up once settled. Since multiple nuclear reactor cores (1-4) and their supporting coolant systems were directly affected by the massive 2011 tidal wave, catastrophic explosions and meltdowns took place resulting in a never-ending nightmarish radioactive spiral that may eventually affect ALL life on planet Earth. 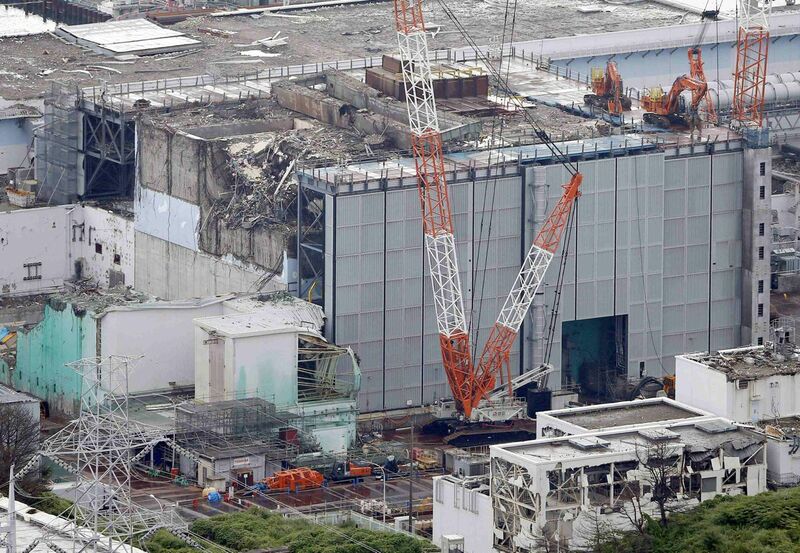 To further illustrate the urgency of this matter, in both 2017 and 2018, TEPCO piloted remote-controlled robots equipped with cameras to inspect the containment buildings that were severely damaged by the incident. Their findings (or lack of) were disconcerting to say the least: molten nuclear fuel is continuing to spread and infect neighboring soil and ground water, which eventually leaks out into the ocean and kills or mutates marine wildlife. Perhaps the most horrifying revelation comes from their inability to locate, with certainty, reactor cores #1, #2 and possibly #3. These nuclear reactor cores are emitting intense heat and radiation and, without proper cooling support, have most likely penetrated their concrete casings while slowly traveling downwards toward the Earth’s core. Website ExtremeTech reports the core is located around 6,371 kilometers (3,958 miles) from the planet’s surface and burns at an incredible 6,000 degrees Celsius (10,832 Fahrenheit). Although it is unknown what exactly would happen if (or when) the missing reactor cores reach the Earth’s smoldering mantle or outer/inner cores, some have speculated that a disaster of catastrophic proportions might take place, including a series of nuclear fission-induced volcanic eruptions, earthquakes and magnetic instabilities that would bring about an unrecoverable extinction level event (ELE). It is interesting to note that the so-called “experts” who have been monitoring the Fukushima Daiichi nuclear disaster for the past several years regularly use ambiguous wording, such as “estimated,” “assumed,” “presumed,” “approximate” and “apparently,” when presenting updates on the situation. This leads many to believe they do not have any solid facts and are still unsure of the exact impact this disaster has had or is continuing to have on not just the immediate environment where it took place, but our whole planet. Will we ever know the full truth about Fukushima, or will officials continue to deceive the public until it is too late?